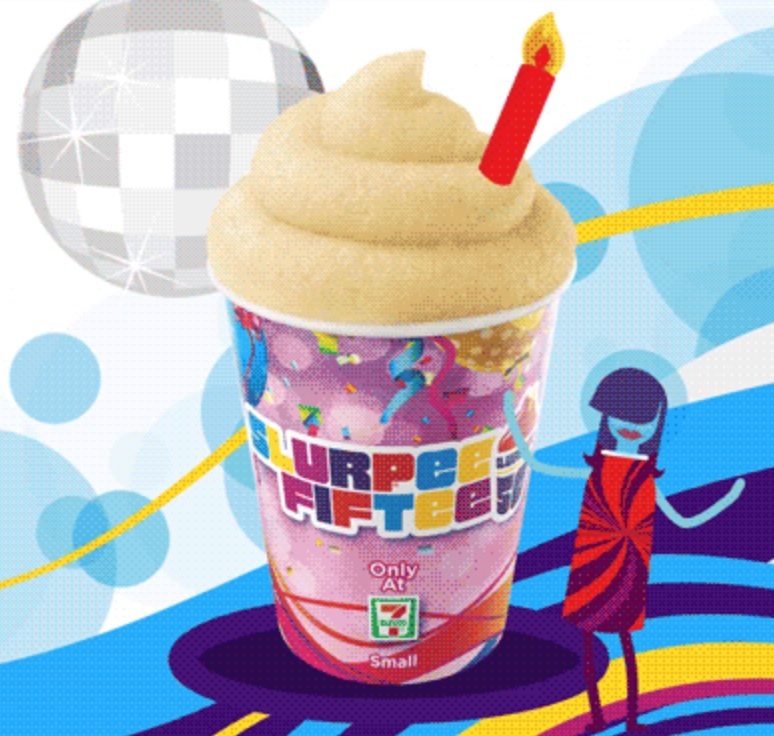 For the past 14 years, 7-Eleven has celebrated its birthday by giving away millions of free small Slurpee drinks on 7-Eleven Day, or July 11 (7/11). But this isn't just any Free Slurpee Day, that's because the iconic frozen drink turns 50 this year. To celebrate Slurpee Fiftee and 7‑Eleven’s 89th birthday, participating stores will give away an estimated 9 million free small Slurpee drinks from 11 a.m. to 7 p.m. local time on Monday, July 11, 2016, while supplies last. 7‑Eleven introduced its popular frozen carbonated beverage in 1966, and it was an immediate hit. The next year, the company’s advertising director coined the word “Slurpee” to describe the sound the drink made traveling through the straw. And a star was born. To continue the summer fun, Slurpee fans who purchase seven Slurpee drinks July 12-18 and scan the 7‑Eleven mobile app will receive 11 Slurpee drinks FREE. The FREE Slurpee offer will automatically appear in the “Scan and Save” section of the 7‑Eleven mobile app 24 hours after the seventh drink purchase. The 11 FREE Slurpee drink coupons must be redeemed by Aug. 31, 2016.